Recently I have been told that I have shown a bit of favouritism towards a certain Piemontese osteria. The individual observed that I perhaps didn’t appreciate “authentic” Italian food. While having a bit of a walkabout through another section of Logan Square, where I didn’t think there was much foot traffic, I passed by what looked like a rustic Italian restaurant. Well, what do you know? Now was as good a time as ever to possibly “broaden my Italian palate,” as I had been told. 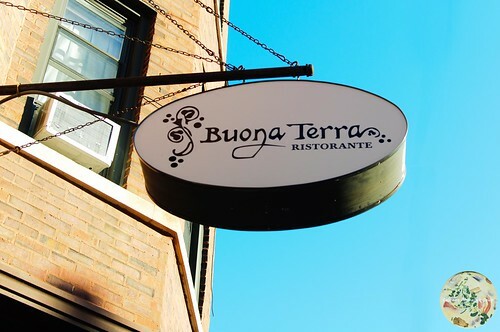 Buona Terra Ristorante at 2535 N. California Avenue is a quaint little spot, walking distance from Logan Boulevard. The interior seems quite homey and welcoming. With the weather being nice outside, I opted to have a seat in the front patio at one of the many tables. Since I had been snacking for most of the day on my walkabout, I was not famished. However, there was enough room to fancy a few dishes. 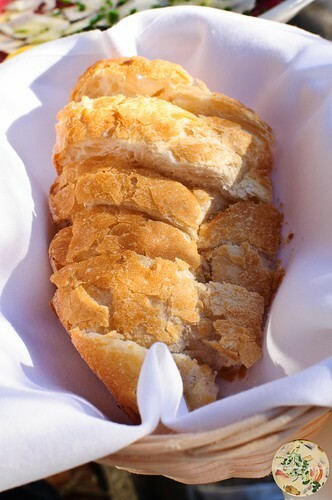 So, after placing my order, I enjoyed a basket of Italian bread with a garlic paste spread. The bread was fresh, just as I love it. The garlic paste was powerful enough to murder a vampire within a 6-foot range. I was heavy-handed with spreading it on the bread, too. 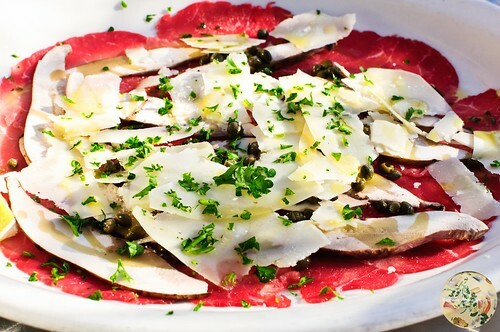 The first menu item I had was a carpaccio. This came as thinly sliced beef, topped with Parmesan and mushrooms. There was a hint of olive oil that actually brought out more flavour than the dish would have had on its on. This was a light dish, a perfect start. It was after a few bites rather addictive. Thankful that I had not finished the basket of bread, I applied a bit of the carpaccio to a few slices of bread and had a satisfactory go of it. 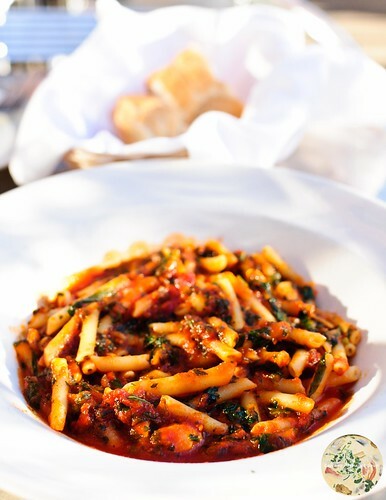 The main dish was a plate of penne all’ arrabbiata. Remembering how I had been told that I perhaps had not had a good plate of pasta and didn’t know any better, penne all’ arrabbiata is my go-to litmus test. Nevermind me having been a fashion model who spent days on end in Milan and a person who simply enjoys vacationing in Florence, Naples, Catanzaro, and San Marino, what do I really know about pasta? But I digress. The penne all’ arrabbiata was indeed fantastic. There was a good kick in the spices and the dish was an explosion on the palate. It was angry. I’d eat it again and again. Since I had been rather experimental as a secret dessert baker at home, and oh how I’ve gone off the rails with baking cakes, cookies, pies, and freezing a variety of homemade ice creams, I was kind to myself and finished with an espresso. 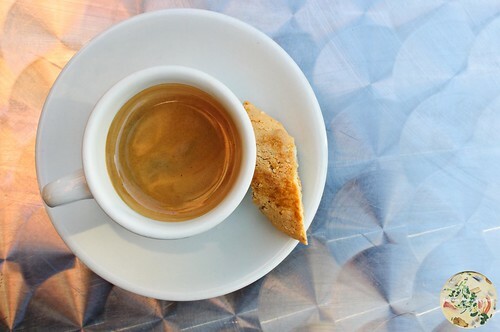 Served with an almond biscotti, I took it slowly until the baby at the table behind me started bawling as if trying to get the attention of people from a quarter-mile away. Buona Terra Ristorante is fantastic. Seeing that there was a constant crowd of patrons coming in for dinner, the few dishes I had were the additional indication of how appreciative one with a refined palate enjoys the output from the kitchen. 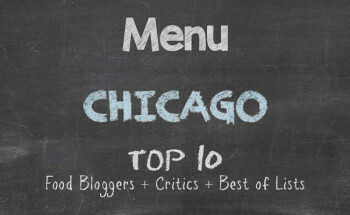 In the vein of fabulous restaurants to grace the Logan Square landscape, I must admit that it is an option I recommend. I shall certainly recommend it to the individual who thought I was a snob for saying I prefer Italian food other lasagna, ravioli, pizza, and spaghetti. And I’ll even make the recommendation in Italian. I wonder what the reply will be.